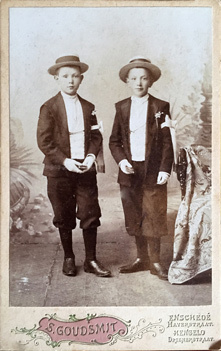 The descendant of Fredrich Ferdinand Gigengack and his son Johannes Ferdinand who moved to Hengelo, the Netherlands. He was born in København, Denmark on 30 November 1825, he was baptized in Frederiks tyske, København, Denmark on 29 January 1826. He died in Zutphen on 25 December 1875. Profession: Traveling ..., showman [..., Schausteller - in 1852 en 1854 was hij kramer (reizend koopman), daarna kermisexploitant]. 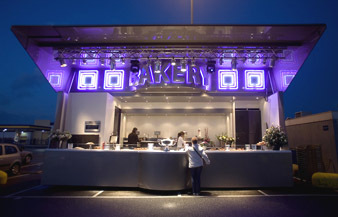 Kermis (Dutch) is an annual country fair or festival used to be held in the Netherlands and northern Germany. She was born in ..., on ... 1853. She died in Zutphen on 7 October 1854, only 20 months old. 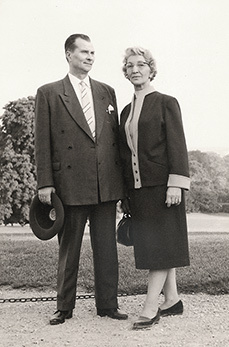 Johannes Ferdinand Gigengack and Johanna Maria Gigengack-Telders. Forefather of the Hengelo Branch. Johannes Ferdinand Gigengack and his family moved to Hengelo (Ov.) on 26 May 1894. He was born in Zutphen, the Netherlands, on 12 March 1854. He died in Hengelo (Ov. ), the Netherlands on 21 July 1923. He was buried in Hengelo on ... . Profession: Traveling showman [kermisexploitant, carousselhouder]. Married in Deventer (kerkelijk huwelijk in Delden?) on 7 February 1878 to Johanna Maria TELDERS. 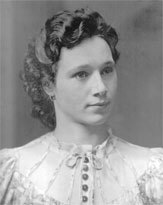 She was born in Wijhe, the Netherlands on 12 September 1859, daughter of Johannes Leonardus Marinus TELDERS (koopman) and Sophia Elisabeth BURGHARD. 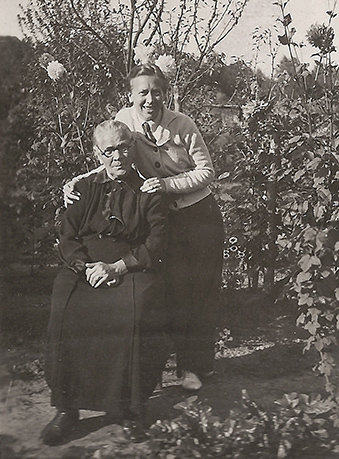 Johanna Maria Telders died in Stad Delden, the Netherlands on 8 August 1939, 79 years old. Buried Hengelo on 11 August 1939. 1. Johannes Leonardus Marinus GIGENGACK, see below: IX.1. 2. Anna Maria Catharina GIGENGACK, see below: IX.2. 3. Maria Anna (Marie) GIGENGACK, see below: IX.3. 4. Sophia Elisabeth (Fie) GIGENGACK, see below: IX.4. 5. Jacoba Maria (Koos) GIGENGACK, see below: IX.5. 6. Willem Frederik GIGENGACK, see below: IX.6. 7. Ferdinandus Frederikus (Free) GIGENGACK, see below: IX.7. 8. Franciscus Anicetus (Frans) GIGENGACK, see below: IX.8. 9. Leonardus Willebaldus GIGENGACK, see below: IX.9. 10. Joseph Stephanus (Jopie) GIGENGACK, see below: IX.10. 11. Christiaan Jozephus GIGENGACK, see below: IX.11. 12. Christiaan Josephus (Grijze Chris) GIGENGACK, see below: IX.12. 13. Eduard Laurentius GIGENGACK, see below: IX.13. 14. 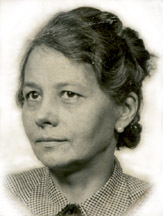 Wilhelmina Maria (Mies) GIGENGACK, see below: IX.14. 15. Cornelia Maria (Corrie) GIGENGACK, see below: IX.15. 16. Augustinus Willem (Guus) GIGENGACK, see below: IX.16. Photo was made about 1905/1906. Picture made available by Pieter W. Jansen. He was born in Deventer on 4 May 1879, he died in Hengelo on 24 August 1914. Born in Lonneker on 31 March 1907. She died in Hengelo on 21 August 1991. She was married 1) in Hengelo on 16 September 1932 to Bernardus Johannes (Berend) EGBERINK. He was born in Hengelo on 22 or 23 July 1901, son of Hermannus EGBERINK and Johanna DERKINK. He died Hengelo (hospital) on 20 October 1943, 42 years old. She married 2) in Hengelo on 20 February 1948 to Arend Jan OPGELDER. He was born in Kampen on 18 July 1910, he died in Hengelo on 2 September 1968. XI.1 Johanna Josephina (Annie) EGBERINK, born in Hengelo on 19 March 1934. XI.2 Maria Anna (Marietje, Mary) EGBERINK, born in Hengelo on 30 June 1938. She was born in Nijverdal on ... 1908. She died only 11 months old in Zutphen on 3 May 1909. She was born in ... on ... 1910. She died only 9 months old in Hengelo on 22 June 1911. Born in Hengelo on 12 February 1913. She was married in ... on ... to ... (Jacob, Jaap) JANSEN. He was born in ... on ... .
Born in ... on ... . He died only 1 year old in Hengelo on 7 August 1916. Around the garden table. 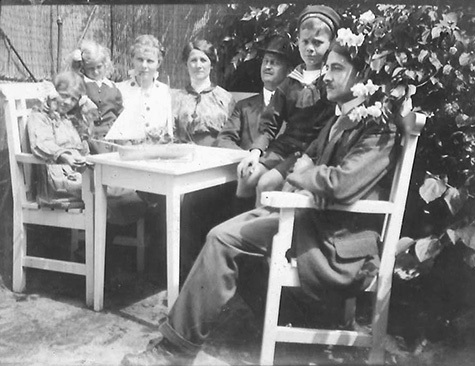 In the middle (with hat), we recognize Frans Dicker together with his wife Anna Gigengack. We are not sure about the other people. Year: about 1925? Photographer unknown. Glass plate made available by Piet de Vledder, Hengelo. 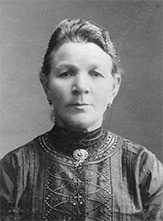 Born in Rijssen on 16 October 1880, she died in Hengelo on 11 August 1937, 56 years old. She married in Hengelo on 13 May 1905 to Fransiskus Stephanus (Frans) DICKER. He was born in Doetinchem on 17 February 1876, son of Wilhelmus Stephanus DICKER and Aleida Geertruida HUISMAN. 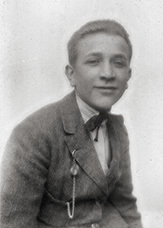 Frans Dicker died in ... on 4 February 1960. They lived in Hengelo at Bornschestraat 21 (till 1905), Dennenboschweg 135 (1905), to Bloemendaal (April 1908), back to Hengelo, Buitenweg 8 (Dec. 1912), to Zutphen, Turfstraat 33 (March 1925), back to Hengelo, Deurningerweg 168 (May 1930), Koekoekweg 39 (Nov. 1930), Achterhoekse Molenweg 20 (Jan. 1932), Ir. 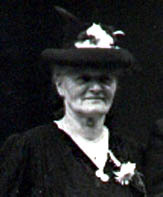 M. Schefferlaan 64 (from May 1937 till she died in August 1937). 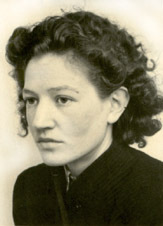 X.1 Aleida Johanna Maria (Lidia, Lida, Li) DICKER, born in Hengelo on 1 February 1906. Married to A.L. van Hecke. X.2 Johannes Ferdinand Wilhelmus (Jo, Johan) DICKER, born in Hengelo on 8 April 1907. He died 6 April 1970. Married to Annie Ordelman (born Zutphen 1910 - died Hengelo 1982). Ank (or Annie) Dicker. Photographer unknown. Glass plate made available by Piet de Vledder, Hengelo. 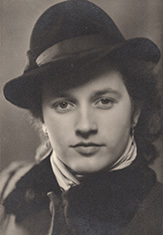 Johanna Maria (Ank, Annie) DICKER, born in Bloemendaal on 23 March 1911. Profession: ... [coupeuse]. Married to ... Kruidhof. X.4 ... (Frans) DICKER, born in ... on ... , he died Den Bosch 18 October 2002, buried Den Bosch 23 October 2002. She was born in Zutphen on 8 February 1882, she died in Hengelo on 29 December 1960, 78 years old, buried Hengelo 31 December 1960. 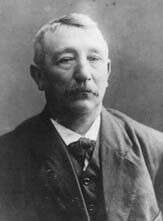 Married in Hengelo on 26 January 1905 to Johannes Hendrikus (Jan) MARKSLAG. 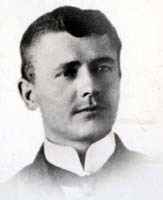 He was born in Hengelo 1882, son of Gerhardus MARKSLAG and Engelina THIELEN. <XIX> <XXXI> They lived Deurningerstraat 79B, Hengelo. 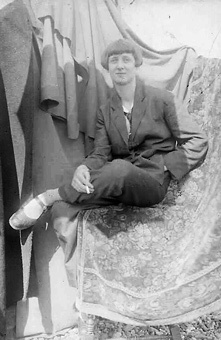 She was born in Deventer on 28 May 1883, she died in Elst (the Netherlands) on 12 April 1948. She moved from Zutphen to Den Bosch on 17 January 1893 and came back to Zutphen on 3 January 1894. Sophia became a nun [kloosterzuster] when she was 16 years old. 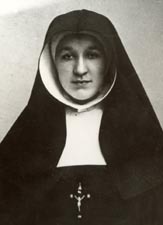 After she entered in the Congregation of the Sisters of Charity [Zusters van Liefde] on 22 January 1900 she was called sister Frederica. She worked for four years in Brasil. In Elst she worked as a teacher [kleuteronderwijzeres]. 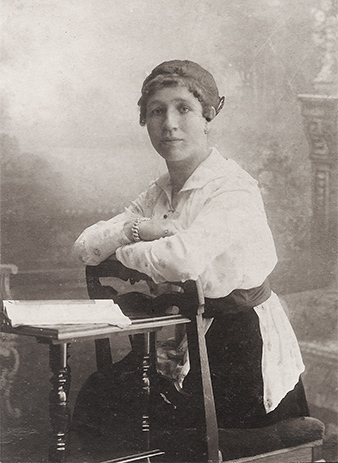 She was born in Zutphen on 11 July 1884, she died in Hengelo on 30 December 1927 (43 yr). She moved from Zutphen to Den Bosch on 2 August 1893 and came back to Zutphen on 3 January 1894. Lived in Hengelo. 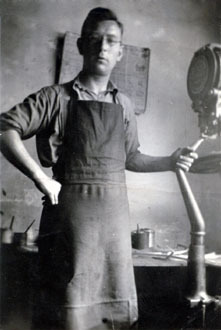 Hendrik Hoefsmit worked as ... [ketelmaker] at Stork, Hengelo. He was born in Hengelo on 28 June 1910, he died in Amsterdam on 18 February 1987. She was born in Hengelo on 23 September 1914, she died in Oudewater on 4 February 2003, she was buried in Oudewater on 8 February 2003. 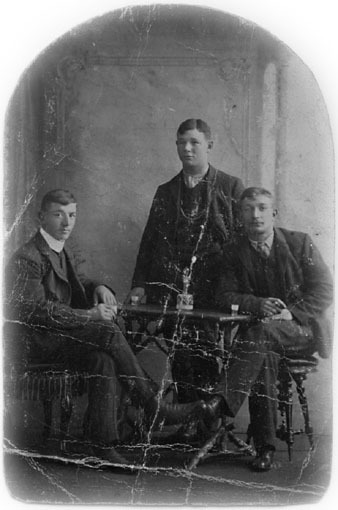 The brothers Frans, Leo and Willem Gigengack (from left to right). Year and photographer unknown. Picture made available by Frans Gigengack, Hengelo. Born in Zutphen on 23 September 1885, he died in Wijhe on 1 May 1946, buried in Hengelo on 4 May 1946. 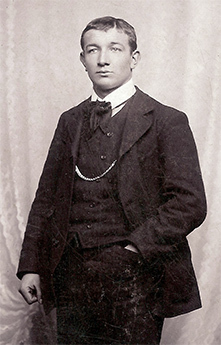 As a child he moved from Zutphen to Den Bosch on 2 August 1893 and came back to Zutphen on 3 January 1894. He is in the Zutphen Address book 1918 as: Gigengack, W. F., carousselhouder, Oudewand 48. He was born in Zutphen on 1 January 1887, he died in Hengelo on 4 August 1967, buried Hengelo 8 August 1967. Born in Hengelo on 1 January 1922, she died in Hengelo on 29 August 2000. She was married in Hengelo on 26 March 1955 to Ferdinand E. DIRKS. He was born in Apeldoorn (?) on ... , sun of ... and ... . Cozy get-together on the steps of the caravan. 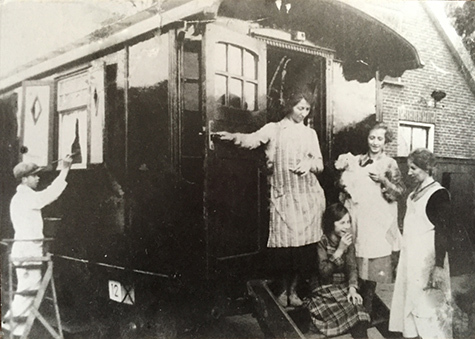 From left to right aunt Corrie Gigengack, Annie (sitting), Hermie and aunt Anna. (The boy painting is probably not related.) 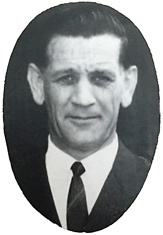 Year: about 1948. Location is Deurningerstraat 168 in Hengelo. Born in Hengelo on 18 December 1922. 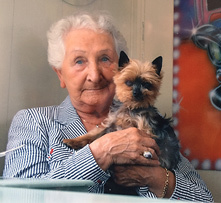 Hermie died in ... on 1 November 2018, she was buried in Hengelo on 10 November 2018. She was married in ... on ... to Johannes G. (Jo) BORGHOUTS. He was born in ... on ... , he died in Hengelo on ... .
XI.1 Adrianus Frederikus (Ad) BORGHOUTS, born in ... on ... .
XI.2 ... (An) BORGHOUTS, born in ... on ... .
XI.3 Frederikus Ferdinandus (Free) BORGHOUTS, born in ... on ... .
She was born in Hengelo on 15 November 1924, she passed away in Apeldoorn on 25 February 2017. She married in Hengelo on 18 November 1948 to H.R. (Henk) DIRKS. Born in ... on ... . He died in Apeldoorn on 2 October 2017. Born in Hengelo on 1 May 1926, he died in Almelo on 21 March 2018, at the age of 91 years. He was married in Hengelo on 20 February 1954 to M.G. (Riet) SCHILDKAMP. 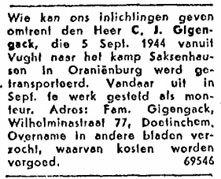 She was born in Hengelo on 23 December 1927, daughter of ... SCHILDKAMP and ... . Riet Gigengack—Schildkamp died in Hengelo on 11 March 2007. Born in Hengelo on 18 December 1954. She was married in ... on 19 February 1976 to Hermie ROSS. 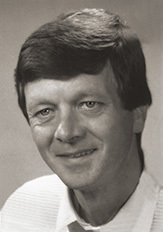 He was born in ... on 28 February 1953, son of Gerrit ROSS and Miny SCHOLTEN. He was born in Hengelo on 20 June 1991. Profession: Traveling showman [kermisexploitant], importer and distrubutor of bumper cars. Married in ... on ... to .... (Anita) WIELENS. 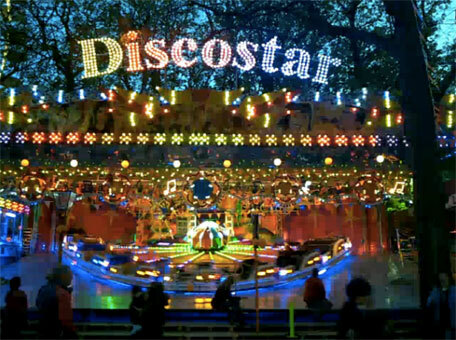 She was born in ... on ..., daughter of ... and ... .
Ferdi's newest ride is the Discostar, introduced in 2010. He was born in ... on the 23rd of August 1986. He was born in ... on the 28th of May 1990. Married in ... on ... to ... (Marcel) JASPERS. 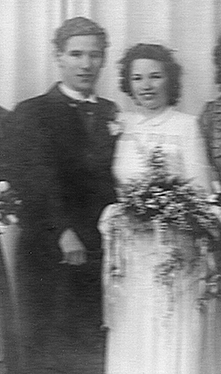 Frans Gigengack sr. and Mien Diedrich at their marriage in 1942. Photographer unknown. Picture made available by Frans Gigengack jr., Hengelo. He was born in Zutphen on 17 April 1888, he died in Hengelo on 22 April 1968. 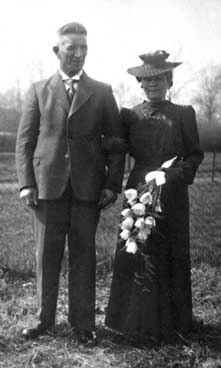 Married in Hengelo on 23 April 1942 to Wilhelmina Maria Jacoba Johanna Josephine (Mien) DIEDRICH. She was born in Sigli, Indonesia on 14 January 1906, daughter of Jan Jakob DIEDRICH and Hendrika Wilhelmina SPOORMAN. She died in Hengelo on 25 June 1983. 1. Antonius Johannes Servatius (Tonnie) GIGENGACK, see below: X.1. 2. Franciscus Anicetus (Frans) GIGENGACK, see below: X.2. Tonnie and Mien Gigengack in their Merry Go Round [carrousel or draaimolen]. Photo made in Ootmarsum, November 7th 2003 by Charel van Tendeloo, De Twentsche Courant Tubantia. Born in 's Hertogenbosch on 5 March 1939, he died in Hengelo on 13 August 2016. He was married in Breda on 6 February 1964 to Wilhelmina Anna Maria (Mien) VAN DER TUIN. She was born in Venlo on 14 April 1941, daughter of Cornelis Johannes Abraham (Cor) VAN DER TUIN and Louisa Elisabeth (Betsie) PASSON. He was born in Hengelo on 9 January 1965. Partner 1) is Corina BENJAMIN. She was born in ... on ... .
Married 2) in Hengelo on 9 October 2009 to Anita TIMMERS. She was born in Hengelo on 20 November 1963. Divorced 2015. Partner 3) is Karin MEBIUS. She was born in ... on ... . He was born in Hengelo on 24 November 1988. 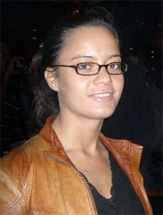 Married in Nijmegen on 9 December 2011 to Jessica Hanna BROMM, she was born in Nijmegen on 17 August 1984. She was born in Nijmegen on 17 April 2012. She was born in Arnhem on 29 December 2013. He was born in Hengelo on 16 October 1996. He was born in Hengelo on 12 April 1969. Partner is Marie-Jose ... . He was born in Veghel on 13 March 2000. She was born in Hengelo on 29 October 2001. He was born in ... on 16 March 2007. Born in Hengelo on 9 October 1942. Profession: manager/owner amusement company [directeur amusementsfirma]. He was married in Hengelo on 10 November 1967 to Hermina Theodora Maria (Herma) ANNINK. She was born in Hengelo on 5 January 1944, daughter of Willem Hendrikus ANNINK and Anna Maria OUDE LANSINK. He was born in Hengelo on 20 December 1969. 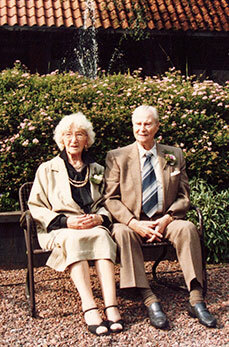 He was married in Ambt-Delden on 29 March 1999 to Esther Maria Getruida STEGE. She was born in Ambt -Delden on 24 June 1971. Photo made December 7th 2010 by Lars Janssen, De Twentsche Courant Tubantia. Born in Hengelo on 20 June 2000. She was born in Hengelo on 20 April 1972. Married in Hengelo on 11 November 2006 to Albertus Jan (Bart) NOBBENHUIS. He was born in Hengelo on 8 April 1967, child of ... NOBBENHUIS and ... .
Leonardus Willebaldus Gigengack and his wife Wilhelmina Johanna Gigengack-Giezen. 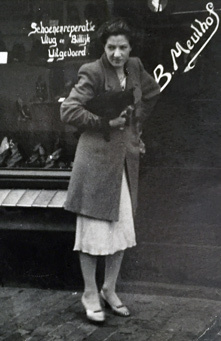 This photo is from about 1931, photographer J. Koster, Deventer, the Netherlands. Picture made available by Frans Gigengack, Hengelo. Born in Doesburg, Gelderland on 7 July 1889, he died in Orthen, Den Bosch on 1 February 1944. Profession: Traveling showman [kermisexploitant]. Educated as a lathe operator [machinebankwerker]. 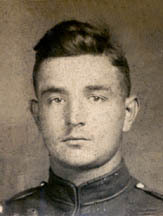 From 1 February 1915 he lived in Oss (Netherlands) at the home of Ant. Smits. He came from Mülhausen (Grefrath?). He moved again 16 January 1917 to Laren, Gelderland. Born in Zevenaar on 1 July 1918, he died Den Bosch on 4 March 1969. Profession: Owner car material company [eigenaar firma in automaterialen]. 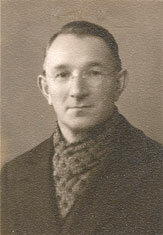 He was married in Driel on 12 November 1940 to Mechtilda (Tillie) VERSTEEG. She was born in Driel on 27 February 1920, she died in 's-Hertogenbosch on 18 April 1989, 69 years old. Born in Hengelo (Ov.) on 30 May 1941. He died in 's-Hertogenbosch on 30 January 2005, 63 years old. He was buried in Orthen ('s-Hertogenbosch) on 3 February 2005. He was married in ... on 4 May 1965 to Eugenie Martina Marie Bernardina MONBALIU. She was born in ... on 13 August 1939, she died 48 years old in ... on 15 October 1987. Born in 's-Hertogenbosch on 6 March 1966. She is married in 's-Hertogenbosch on 11 November 1999 to Antonius Maria Gerardus Joannes (Ton) TEURLINGS. He was born in 's-Hertogenbosch on 7 July 1964. Born in Den Bosch on 11 October 1989. Profession: Editor for film and television. Born in Den Bosch on 18 August 1953. 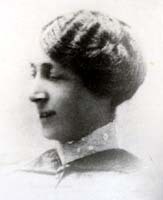 Nellie Gigengack, probably in Wijhe. She was born in Oldenzaal on 29 September 1920, she died in 's Hertogenbosch (?) on 25 October 2006. Married in ... on ... to ... (Rens) STOKHOF DE JONG. Born in Hillegom on 15 September 1922, she died in 's Hertogenbosch on 24 January 2019 at the age of 96 years. XI.1 Leo GOEDKOOP, born in ... on ... . <XXXI> He was married in ... on ... to ... .
Two daughters: 1) Ine and 2) Anne. Born in Bergen op Zoom on 24 February 1929. She died in 's-Hertogenbosch on 30 June 1990, 61 years old. She was married in ... on ... to ... (Arie) EIJKELENBOOM. He was born in ... on ... . He died in ... on ... .
Born in Zutphen on 28 December 1890. He died in Hengelo on 23 August 1917, 26 years old. Buried Hengelo 27 August 1917. (Notification of death was done in Enschede on 31 August 1917). 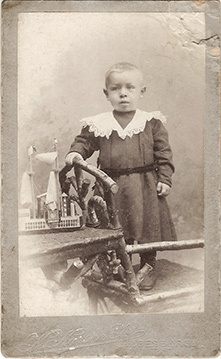 Born in Ruurlo, Gelderland on 18 May 1892, he died 9 months old in Zutphen on 22 February 1893. Born in Zutphen on 18 December 1893, he died in ... on about 19 March 1945. Chris Gigengack was directeur van de Doetinchemse Eerste Motor Reparatie Inrichting (DEMRI) in zijn woonplaats Doetinchem. In de Tweede Wereldoorlog was hij actief in het verzet. Om die reden werd hij op 20 april 1944 door de Duitse bezetter geïnterneerd en overgebracht naar Vught. Op 5 september 1944 werd hij naar Oraniënburg/Sachsenhaussen gebracht. Hij is o.a. werkzaam geweest in de Heinkelfabrieken. Werd begin december 1944 naar Grosz-Rosen, Opper-Silesië gebracht. Was volgens getuigen toen in goede gezondheid. Volgens anderen werd hij gebracht naar Bergen-Belsen. Hij overleed rond 19 maart 1945, verzwakt door honger en ziekte. In juni 1945 verkeerde de familie nog in onzekerheid over het lot van Chris Gigengack, zoals blijkt uit een oproep in de krant. 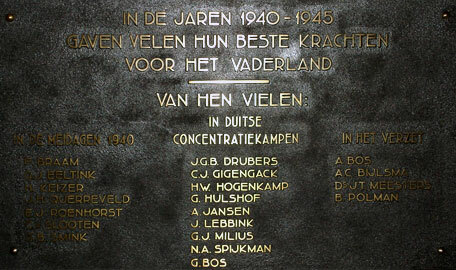 Bronzen plaquette in het gemeentehuis van Doetinchem, met de namen van de plaatsgenoten die vielen in de oorlog. Onder hen is de naam van Chris Gigengack, die omkwam in een Duits concentratiekamp. 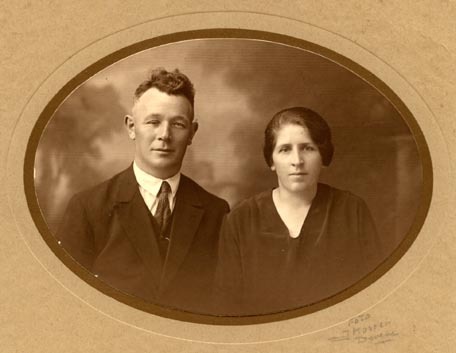 Chris Gigengack was married in Hengelo on 2 January 1919 to Henderika Maria (Riek) ANALBERS. She was born in Hengelo (Ov.) 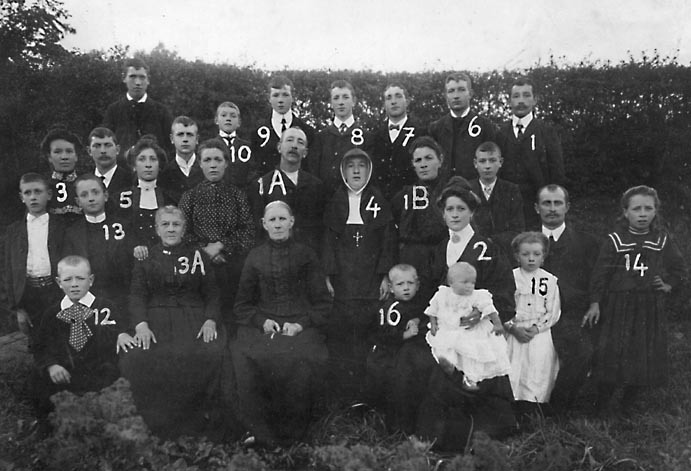 on 12 April 1894, daughter of Hendrikus ANALBERS and Johanna Henderika GERRITSEN. She died in ... on ... .
Born in Hengelo on 9 October 1919, he died in ... on 23 October 2004, 85 years old. ‘Als parochiaan van de Maria-parochie heeft Fred Gigengack zich daar vroeger nog verdienstelijk gemaakt als koster en collectant. Fred was vroeger werkzaam in de grafische industrie (Misset en Diepdruk). Veertien jaar heeft hij zijn werk ook mogen uitoefenen in Zwitserland, waar hij, samen met zijn vrouw, met heel veel plezier gewoond heeft. Eigenlijk wilden ze helemaal niet meer terug, maar doordat de gezondheid van Fred�s moeder achteruit ging, kwamen ze toch weer terug naar Nederland. Ze gingen wonen in hun flat aan de Ceintuurbaan, waar ze tot zijn dood zijn blijven wonen (38 jaar). Op 28 oktober hebben we, na een afscheidsviering in de Maria-kerk, Fred te ruste gelegd op het kerkhof aan de Ceintuurbaan, waar hij nu weer samen is met zijn moeder. Moge hij nu thuis zijn bij de Heer en bidden wij Hem om kracht voor zijn vrouw, om dit onverwachte verlies te kunnen dragen.’ Bron: Parochi�le Mededelingen van de kerken in Deventer en omgeving, naar aanleiding van het overlijden van Fred Gigengack. Born in Gaanderen on 7 June 1922, he died in Elst on 7 December 1981. Born in Doetinchem on 13 November 1947. He is married in Ahus, Sweden on 25 August 1973 to Marita STRAND. She is born in ... on ... .
Robert Gigengack moved to Sweden in 1973 and lives there with his family. Born in Ahus, Sweden on 16 January 1974. She married in ... on ... to Johan STURES(S)ON, son of ... and ... . Three children. XIII.1 Albin STURESSON, she was born in Kristianstad on 24 April 2007. XIII.2 Fabian STURESSON, he was born in Kristianstad on 24 April 2007. XIII.3 Vilmer STURESSON, he was born in Kristianstad on ... .
Born in Ahus, Sweden on 10 May 1978. Married in Ahus on the 8th November 2008 to Niclas SÖDERLUND, son of ... and ... .
XIII.1 Saga SÖDERLUND, she was born in Stockholm on ... May 2010. 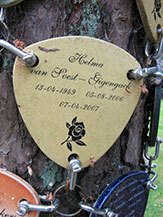 Helma van Soest-Gigengack memorial sign in Bilthoven. Born in Boxtel on 13 April 1949, she died in ... on 5 August 2006. She was married in ... on ... to Kees VAN SOEST. He was born in ... on ..., he died, 80 yr, in ... on 16 June 2014. Henk was born in Boxtel on 1 June 1950, he died in ... on 23 December 2015. Born in Scherpenzeel on 23 September 1976. Married in Doetinchem on the 8th of May 2009 to J.C. (Anne) WILTINK. She was born in Doetinchem on the 22nd of September 1985. She is born in Ede on 16 August 2010. He is born in Ede on 7 October 2018. Born in Veenendaal on 30 July 1979. Married in Veenendaal on the 5th of April 2007 to Peggy WÖLFL. She is born in Bretten (Germany) on the 24th of August 1975. Born in Arnhem on 17 April 2007. Born in Ede on 3 August 2010. She is born in Boxtel on 17 January 1952. She is born in Deventer op 15 September 1955. Have been married in ... on ... to Cornelis Willem DE GIER. 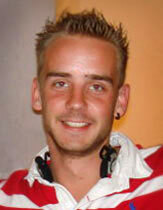 XII.1 Thomas Arthur (Tommy) DE GIER, he was born in Zeist on 31 July 1986. Born in Doetinchem on 25 September 1926, he died in ... on ... . Buried in Doorwerth 20 March 1998. He was married in ... on ... to Helene Wilhelmina Anna (Hella) OVERGOOR. She was born in Assen on 15 June 1928. Born in Den Bosch on 9 June 1953, he died in Arnhem on 25 March 1990 36 years old. Partner was Harold S.R. VAN DE VEN. He was born in Deventer on 2 August 1960, son of ... and ... . He died in ... on 28 January 2008. They were buried at the R.K. Begraafplaats in Doorwerth, grave nr 70938. Born in Doetinchem on 26 July 1958. 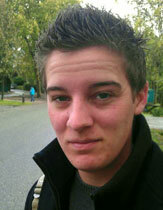 Partner is Liesbeth LANKHORST. She is born in Velp on 5 February 1960. Pictures made available by José Gigengack, Hengelo. Born in Hengelo on 29 December 1894, he died in Gorkum on 18 August 1970. He was buried in Hengelo (Ov.) on 21 August 1970. Picture made available by José Gigengack. Born in Roermond on 22 August 1918, he died in Hengelo on 1 April 1977. Profession: Traveling showman, driver [kermisexploitant, chauffeur]. She was born in Hengelo on 2 September 1940, she died in Apeldoorn on 7 December 1978. XII.1 ... (Freddie) VAN NOREL, born in ... on ... .
XII.2 ... (Addie) VAN NOREL, born in ... on ... .
XII.3 ... (Wimmie) VAN NOREL, born in ... on ... .
She was born in Hengelo on 21 December 1941. XII.1 Iris VERDUGT, she was born in Hengelo on 28 January 1969. 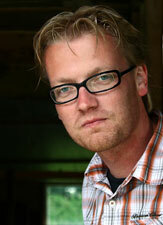 XII.2 Dusty VERDUGT, she was born in Hengelo on 11 August 1972. Picture made available by Dunja ter Braak Gigengack. He was born in Oldenzaal on 29 October 1946, he died in Hengelo on 5 October 1986. Married 1) in Hengelo on 22 November 1972 to J.M. (Josephien) TER BRAAK. She was born in Hengelo on 8 April 1950. 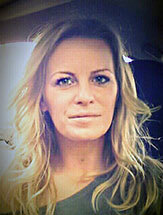 Partner 2) is ... . She was born in ... on ... .
She was born in Hengelo on 15 June 1973. She was born in Hengelo on 28 May 1975. Born in Lochem on 8 May 1923, he died in Roosendaal on 15 December 1998. Married in Den Bosch on 3 August 1945 to Johanna Maria (Annie) VERMOLEN. She was born in Hengelo on 15 October 1922. She was born in Orthen (Den Bosch) on 15 July 1945. Married in Roosendaal on 27 March 1965 to Petrus Johannes Franciscus Marie (Piet) REICHARDT. He was born in Den Haag on 13 May 1945, son of Franciscus Jacobus Johannes Marie REICHARDT and Martina Maria RIBBENS. He died in ... on ... .
XII.1 Ferdinand Johannes (Freddie) REICHARDT, born in Roosendaal on 2 March 1965. Born in Westerhoven (close to Eindhoven) on 8 June 1954. Partner is Inge Elisabeth KONINGS. She was born in Roosendaal on 3 March 1959. She was born in Roosendaal on 18 June 1976. Born in Gorssel on 24 December 1933, he died Oosterhout 3 December 2001. Born in Apeldoorn on 11 December 1965. John was married in Vilnius, Lithuania [Litouwen] on 1 March 2001 to Natalia YUMATOVA, born in Riga, Latvia [Letland] on 25 March 1977. No longer married since September 2006. XI.2 Petrus Hubertus (Peer) GIGENGACK jr.
Born in Utrecht on 26 August 1968. Partner is Cornelia Johanna Christina (Bianca) MELISSEN, born in Roosendaal on 20 September 1972. XII.1 Petrus Hubertus (Peer) GIGENGACK jr. jr. He was born in Breda on 23 November 2004. Born in Linschoten (Utrecht) on 23 October 1972.
located in the city of Breda. Photo by Ingrid Bertens, 2007. She was born in Hengelo on 22 January 1897, she died in Den Bosch on 6 February 1952. 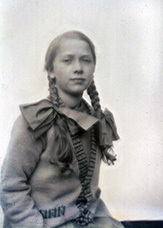 Johanna Maria (Annie) VERMOLEN, born in Hengelo on 15 October 1922. X.3 Nelia Jacoba (Lia) VERMOLEN, born in 's-Hertogenbosch on 7 March 1931. Born in Hengelo on 12 March 1899, she died in Nijmegen on 16 May 1996. She was 97 years old. Married in Hengelo on 1 June 1928 to Nicolaas Hendrikus Johannes (Nico) GOËKEN. He was born in Hengelo on 25 May 1902, son of Johan Lodewijk GOËKEN and Fredrika ANALBERS. He died in ... on 4 December 1996. Nico and Corrie Goeken-Gigengack worked as traveling showman, restaurateur, entrepeneur [kermisexploitant, restauranthouder, ondernemer]. From 1938 they lived in Amsterdam, Spuistraat 94. From abt. 1976 they've lived in Nijmegen. Restaurants: De Groene Lanteerne (from 1950), Haarlemmerstraat 43, Amsterdam; 't Bonte Osje (from 1951), Spuistraat 94, Amsterdam. 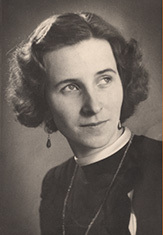 X.1 Johanna Fredrika (Frieda) GOËKEN, born in Hengelo on 13 December 1928. 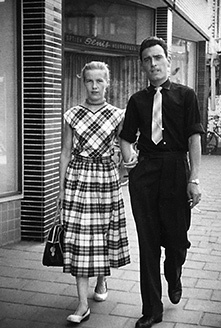 She married in Amsterdam on 13 May 1948 to Cornelis (Kees) GOOSEN. 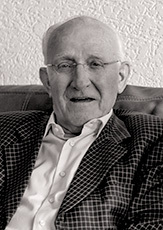 X.2 Josephus Stephanus (Joop) GOËKEN, born in Hengelo on 2 November 1930. He died in Termunten on 3 July 2013. X.3 Johan Lodewijk Maria (John) GOËKEN, born in Hengelo on 29 October 1935. He died in Amersfoort on 4 March 2005. 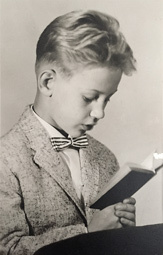 Guus Gigengack about 5 years old. Photographer ..., Doesburg, year about 1907. Guus Gigengack at work in his workshop. Photographer and year unknown. 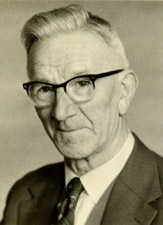 Born in Hengelo on 17 March 1902, he died in Hengelo on 14 January 1981, buried in Hengelo on 19 January 1981. Profession: shoemaker [Shuhmacher - schoenmaker]. Lived at Castorweg 109 in the household of G.A. Rubers (22-11-1929}. 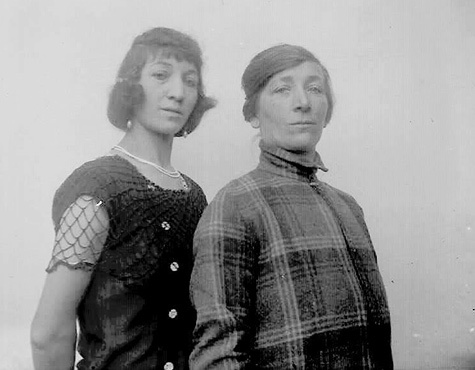 Married in Rotterdam on 11 May 1932 to Maria Cornelia (Marie) FRANKEN. She was born in Rotterdam 24 March 1903, daughter of Willem FRANKEN and Cornelia Maria GITTE. 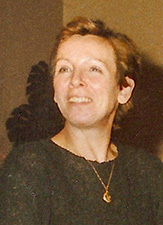 Marie Gigengack-Franken died in Hengelo on 27 December 1989. 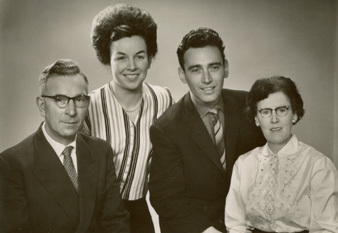 Guus Gigengack, Corrie Gigengack, Johan Gigengack and Marie Gigengack-Franken in 1961. Lidy and Johan in the Marktstraat in Hengelo. Phoptographer unknown. He was born in Hengelo on 20 May 1933, he died in Hengelo on 18 October 1976, he was buried Hengelo 21 October 1976. Profession: writer, publisher [Autor, Verleger - schrijver, uitgever]. He was married in Enschede on 29 March 1957 to Maria Aleida (Lidy) KRONENBERG. She was born in Klazienaveen, Emmen, the Netherlands on 3 April 1927, daughter of Johannes Hermannus (Harm) KRONENBERG and Margaretha Aleida (Griet) SIEBUM. Lidy died in Almelo (hospital) on Monday 12 November 2018, 91 years old. 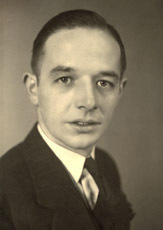 Johan Gigengack is the writer of the book 'Geschiedenis van het Geslacht Gigengack' (History of the Gigengack Family), that was published in 1954. In 1972, four years before he died, he worked out a more complete Family Tree. Also see: The Johan Gigengack website (in Dutch). Born in Hengelo on 5 August 1958. Partner is Margaretha Caroline (Greta) PASSELIMA. She was born in Bandung, Indonesia on 3 December 1957. She is born Hengelo 24 August 1981. Partner is Sander OLTHOF. He is born in ... on ... . He is born Hengelo 23 November 1982. He is born in Hengelo on 21 August 1959. Partner is Margriet Ruth NIEUWENHUIZEN. She is born in Zutphen on 2 June 1970, daughter of ... (Lambert) NIEUWENHUIZEN and Grietje RUIJER. She is born Hengelo on 28 November 1990. He is born Hengelo on 14 August 1999. He is born Hengelo on 18 September 2002. He is born in Hengelo on 21 November 1960. Partner is Esther Christiene BULTS. She is born in Adelaide, Australia on 15 January 1964. He is born Hengelo on 23 February 2002. He is born Hengelo on 5 July 2004. Born in Hengelo on 19 December 1961. She married in Hengelo on 12 August 2003 to Henry BAKKER. He is born in ... on 28 August 1964. Livia was born lifeless in Hengelo on 2 October 2003. She is buried at the Algemene Begraafplaats in Hengelo on 6 October 2003. He is born in Hengelo on 3 May 2006. She was born in Hengelo on 25 February 1967. Partner is Cong Trung (Trung) VAN, he was born in Doetinchem on 30 November 1981. Born Hengelo on 20 March 1986. Born Hengelo on 24 August 1990. She was born in Hengelo on 24 November 1939, she died in Hengelo on 25 June 2011. He is born in Hengelo on 25 February 1988. He is born in Hoorn on 26 January 1991. He is born in Zutphen on 27 February 1996. She is born in Hengelo on 29 January 1981. He was born in Hengelo on 21 May 2007. He was born in Hengelo on 17 November 2014. She is born in Hengelo on 3 June 1982. Born in Willemstad, Curaçao on 26 June 1967. She is born Hengelo on 11 November 1986. 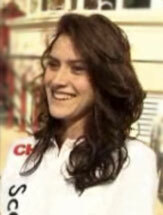 She is born in Hengelo 9 April 1990. She is born Hengelo 28 January 2002.